Last Friday a Union County jury convicted an Edison, N.J. Man of 1st degree armed robbery, 2nd degree possession of a weapon for unlawful purpose and 3rd degree unlawful possession of a weapon, said Prosecutor Theodore J. Romankow. Darrell Blount DOB: 10/26/1976 faces life in prison when he is sentenced, said Assistant Prosecutor Colleen Ruppert who prosecuted the case. According to the investigation on April 21, 2007 Blount entered Andy’s Twin Boro Liquor Store on Chestnut Street in Roselle Park, N.J. and pulled out a simulated handgun and demanded money. The clerk in the store activated a silent alarm, summoning police. While in the store, Blount heard a police radio behind the counter alerting officers to the robbery in progress, said Ruppert. Blount fled the store, with the clerk giving chase and copying Blount’s license plate number and make and model of the car. Police tracked the car to Edison and arrested Blount an hour after the robbery. Inside the car officers found clothes that Blount was wearing during the robbery, as described by the victim, as well as the replica handgun, said Ruppert. The jury verdict came after a month-long trial before Superior Court Robert J. Mega. 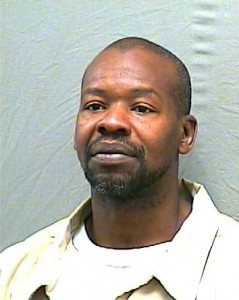 Blount is being held in the Union County Jail and will be sentenced on May 27, 2011.